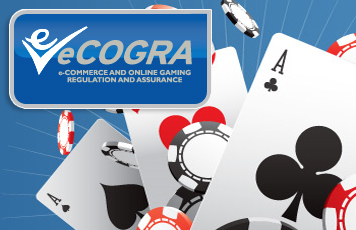 An online Claim Submission Form for affiliates was made available from 7 to 31 December 2009 and claims were collated by eCOGRA. For commercial reasons, in August 2008 a decision to close the Program effective 1 December 2008 was taken. All affiliates were informed of the intended closure by email on 7 November 2008 and encouraged to move their accounts and players to the Villa Fortuna Affiliate Program, which used improved affiliate program software. A follow up email with the same message was sent again on 21 November 2008. Termination was conducted according to the termination clauses stipulated in the affiliate contracts. uring November 2008 management entered into mutually agreed compensation arrangements for related future player activity with the majority of affiliates who at that time had players considered to be reasonably active. We have however confirmed that certain affiliates were overlooked in this process. On 1 December 2008 all affiliates were paid November commissions, and the Program was officially closed. A comprehensive completeness and accuracy audit on the affiliate database provided by the Program was conducted. The relevant claimants’ information was located in the database and information used for the linking and tracking of players associated with the claimants was obtained, in part using information supplied in the claim submissions received from affiliates. This information was used to manually source all players linked to the relevant claimants within the casino back office database. The underlying data for the players linked to the relevant claimants was scrutinised to identify players who were still active in the period 1 December 2008 to 31 December 2009. The actual commission amounts per affiliate were then recalculated using the gaming data, from 1 December 2008 to 31 December 2009, for the linked active players. In order to take into account any potential future earnings, we have added to this amount an additional commission amount for any claimant’s players that were active during the 6 month period prior to 31 December 2009. The effect of this is that we have implied an average lifetime value for each of these players of at least 3.5 times the actual² average lifetime of all Grand Privé players. We wish to thank all those representing affiliates’ interests for their feedback and support throughout the investigation. We would also like to note that the investigation team received the full cooperation of the Grand Privé management. ¹Utilising all information provided by claimants (Name, Email, Banner Tag, Website, etc. ), no records could be found in the Program database. ²The actual average lifetime value of players is confidential information which we are unable to disclose.